Sat. & Sun. 11 a.m. - Midnight, Mon. 11 a.m. - 9 p.m. 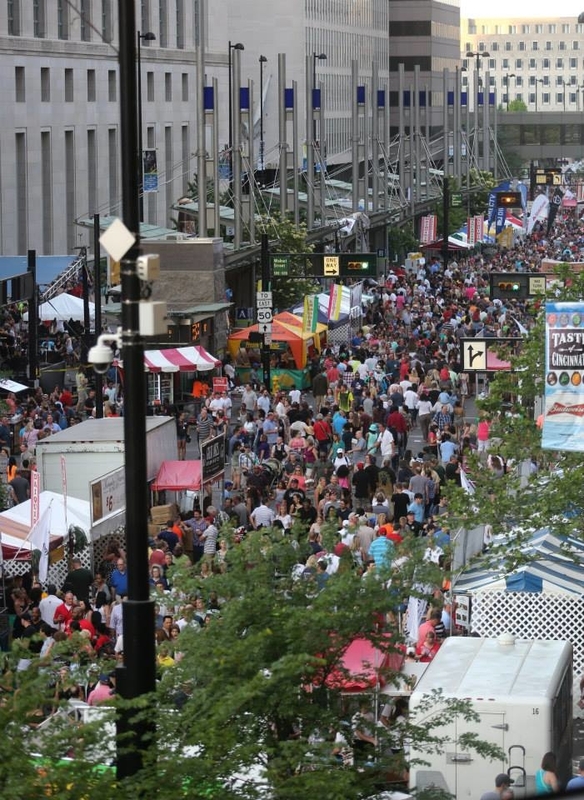 Taste of Cincinnati is held every Memorial Day weekend in downtown Cincinnati by the Corporate and Community Events division of the Cincinnati USA Regional Chamber. 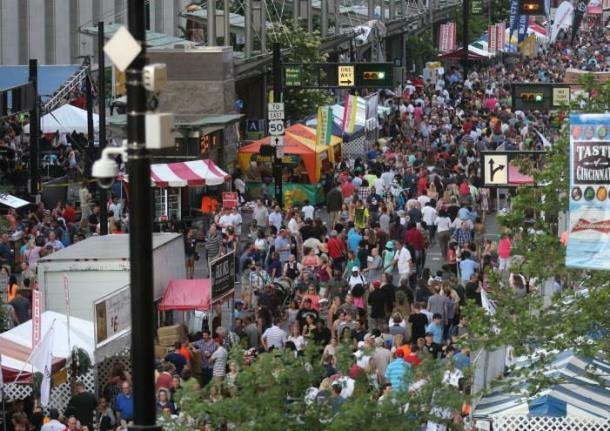 Started in 1979, it is now the nation's longest running culinary arts festival. Taste of Cincinnati started as a one-day fest in Piatt Park, then known as Garfield Park, with approximately 5,000 attending the first event. The event expanded to two days in 1981, and in 1988 expanded to three days and moved to Central Parkway. 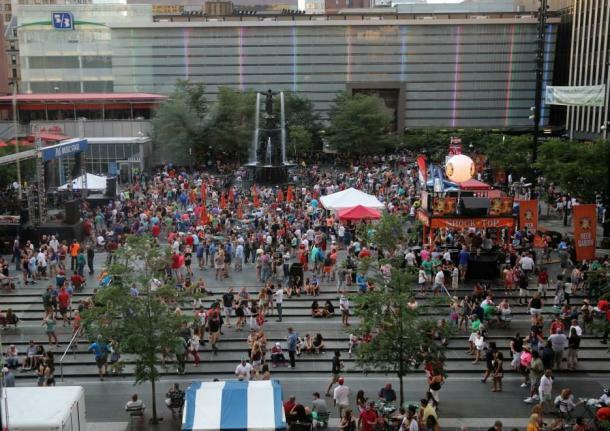 Taste of Cincinnati was the brainchild of Karen Maier, vice president of marketing for Frisch’s Restaurants Inc. Maier cooked up the idea after reading about Taste of the Big Apple in the Nation’s Restaurant News, an industry trade publication. In 2007, the event was moved to Fifth Street to spotlight the $42-million renovation of Fountain Square and its underground parking garage, and to bring the event closer to Downtown's cluster of hotels, such as The Cincinnatian Hotel, the Garfield Suites Hotel, the Hilton Cincinnati Netherland Plaza, the Hyatt Regency Cincinnati, the Millennium Hotel Cincinnati, The Terrace Hotel and the Westin Hotel Cincinnati. Approximately 550,000 now attend the annual food extravaganza, making Taste one of the nation's largest street festivals. Taste of Cincinnati features more than 50 restaurants and food trucks serving up delicious and delectable menu items. In the weeks leading up to Taste each year, menu items are previewed and judged for prestigious Best of Taste Awards. 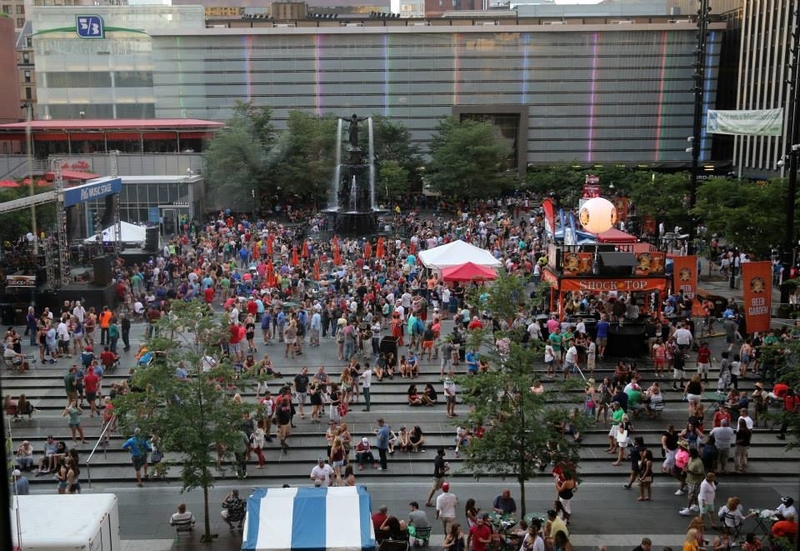 Taste of Cincinnati is also a music festival, with continuous live entertainment featuring local and national recording stars performing on multiple stages throughout the event.